Be the first to share your favorite memory, photo or story of Janice . This memorial page is dedicated for family, friends and future generations to celebrate the life of their loved one. Janice Duncan Sharpe of Georgetown passed away on December 25th, 2018 at home surrounded by her family. Born November 2, 1953, she was the second child of the late Joann Duncan Sharpe and Ray C. Sharpe. Jan was the retired Director of Child and Family Services with the Scott County Board of Education and co-owner of the Georgetown Antique Mall. Jan’s childhood accomplishments were associated with her upbringing on the family farm. At the age of eight she was featured on a cover of “The Furrow” farm magazine. She was very active in 4-H and was a recipient of awards at both the State and National level. At 15 Jan represented the National Shorthorn Association as Shorthorn Lassie Queen. Her family won more blue ribbons than any other family in the State of Kentucky two years in a row and earned the title “Ky State Blue Ribbon Farm Family.” Jan was an active participant, earning blue ribbons across the state in competitions from canning and cooking to showing beef cattle. Jan graduated from Scott County High School in 1971. She attended the University of Kentucky, earning a B.S. degree in Human Development. Throughout her career she strove to further her education, attaining her Master of Science in Special Education, Developmental and Behavior Disorders. She completed her Rank I in Educational Administration and Special Education in 1992 and was certified in Educational Administration and Supervision in 2009. Jan was also co-editor and a contributing author of Including Children with Special Needs in Early Childhood Programs. Professionally Jan began as a Medical Counselor for the District Health Department. She then taught in Scott County schools for seven years while continuing her education. After receiving her Master’s, she became Scott County’s District Director of Child and Family Services, a position she held with the School Board for 26 years. She served as an Adjunct Professor at Georgetown College, teaching in the education department. Jan was first and foremost a mother raising her farm family. She was also active in her family farm operation her entire life and helped to modernize the farm with innovative practices. In addition to her service in education, Jan helped lead her community as a member of the Scott Co. Board of Health and the WEDCO District Board of Health. Jan Sharpe took great pride and joy in her family, her friends, and her contributions to her community. Janice Duncan Sharpe was preceded in death by her parents and her youngest brother Joseph Waits Sharpe. Her surviving siblings are James Ray (Dr. Martha Bird) Sharpe, John Gatewood (Shawna McClain) Sharpe, Jeanine Taylor Sharpe (Alfred) Glass. 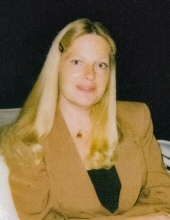 Her children are Jessica Rae Wilbers (Timothy Sean) Cummings, Jennifer Reed Wilbers (Pete Noftsger), and Joshua Duncan Wilbers (Katlynn Sacco). Her grandchildren are Ian Taylor Cummings, Hayley Renee Wilbers, Janna Reed Wade, Josey Lynn Wade, Journey Madison Cummings, Jayda Carol Wilbers, Jameson Evan Noftsger, Hallie and Olivia Noftsger. Her nieces and nephews are Sage Autumn Sharpe (Bob) Jump, Jacob McClain (Megan Berry) Sharpe, John Beckham Sharpe (Amber Aneszko), Joseph B. Glass, Jett Taylor Glass, and Jennifer Glass (Brent) Perry. Visitation will be Sunday December 30, 2018, from 5pm to 8pm at Tucker, Yocum and Wilson Funeral Home. Ms. Sharpe's service will be at 1pm on Wednesday January 2 at the funeral home. Burial will follow the service at Georgetown Cemetery with pallbearers: Joshua D. Wilbers (son), Ian T. Cummings (grandson) and (nephews) Jacob M. Sharpe, Joseph B. Glass, Jett T. Glass, J. Beckham Sharpe, and honorary pallbearer Jameson Noftsger (grandson). Online condolences may be sent to the family at www.tuckeryocumwilson.com. To send flowers or a remembrance gift to the family of Janice Duncan Sharpe, please visit our Tribute Store. "Email Address" would like to share the life celebration of Janice Duncan Sharpe. Click on the "link" to go to share a favorite memory or leave a condolence message for the family.